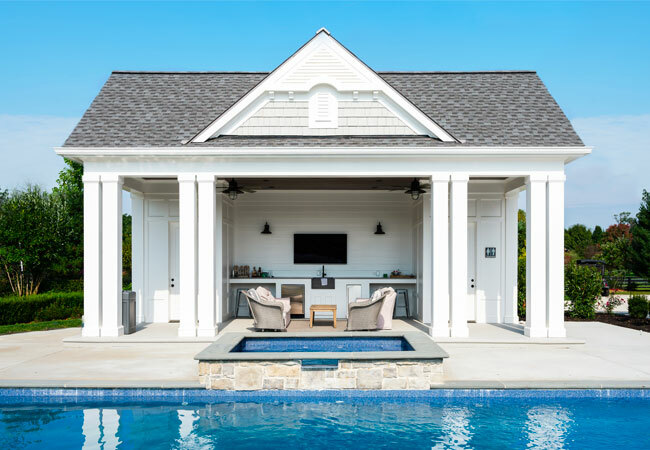 The former quarterback for both the Cards and Super Bowl champs, the Baltimore Ravens, Chris Redman and his wife Ashley assembled a dream team to design and build their perfect home. There isn’t a secret formula for creating the perfect home, but it helps to have a clear vision and the dream team to perfect it. 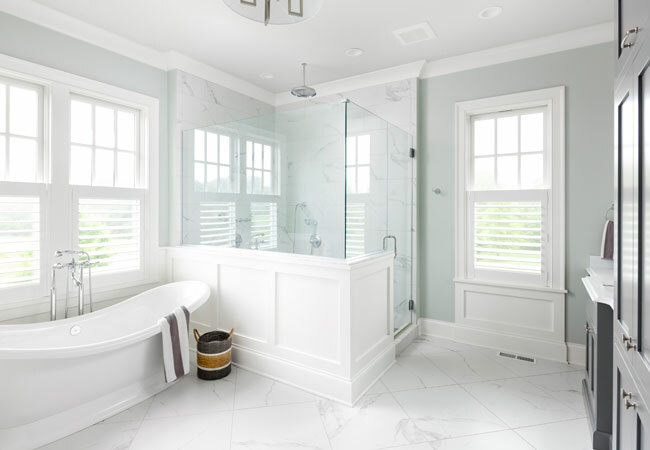 Chris Redman – former University of Louisville and Baltimore Ravens quarterback turned businessman – and his wife, Ashley, had already experienced the building process with their first home, which sits next door to their latest creation. “We built that home before having kids and we learned a lot,” says Ashley. “It had more of a Mediterranean style and it was beautiful and perfect for that time in our lives. This home leans more to a coastal/country design. 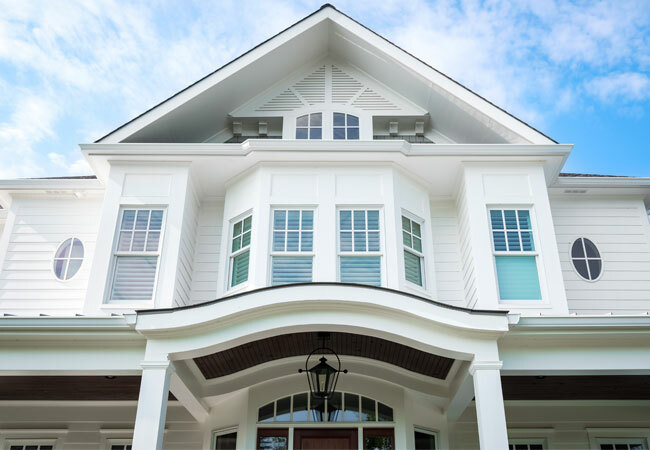 This time, we wanted something that could accommodate our family.” Their family includes son, Britt, and daughter, Josie, along with their adorable Golden Retriever, Goldie. 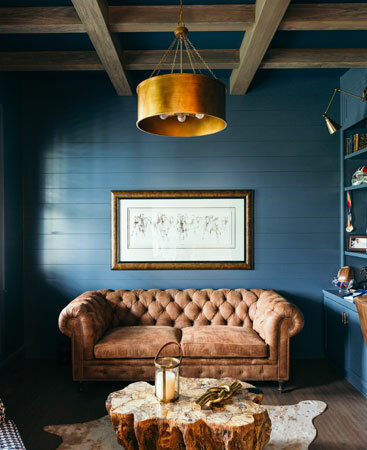 Having built their first home from the ground up, the couple knew whom they wanted to mastermind their next one: Jason Black of Artisan Signature Homes and interior designer/owner, Karista Hannah of Set the Stage. Together, they worked with Chris and Ashley to bring their vision of a comfortable family compound to reality. 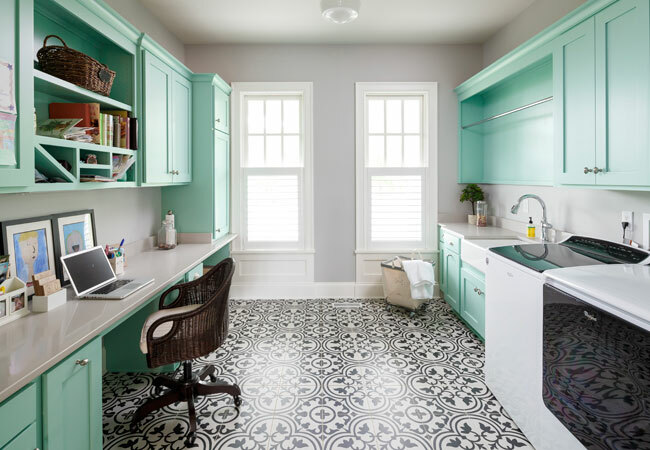 The process took a year to complete and each part of the 6,000-square-foot home is a family-friendly, functional space. Everyone was able to share their ideas including Josie, their 9-year-old daughter who dreamed up the walking/bike path that winds around their one-acre pond. 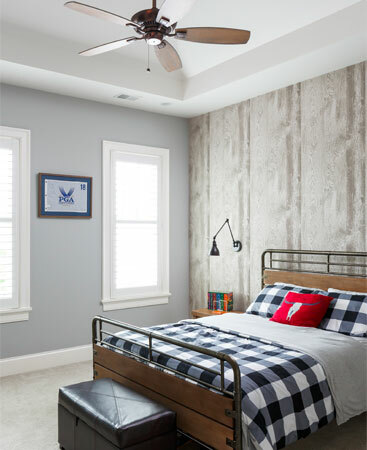 “Honestly, our favorite part of the design process was giving each room its individual style,” shares Ashley. 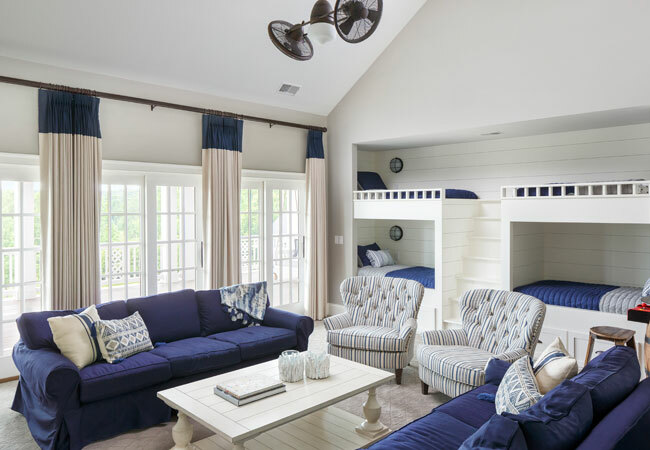 “This home works well for our family because it’s an open floor plan where we can all be together even if we are in different rooms.” Adding interesting details brought each room to life. 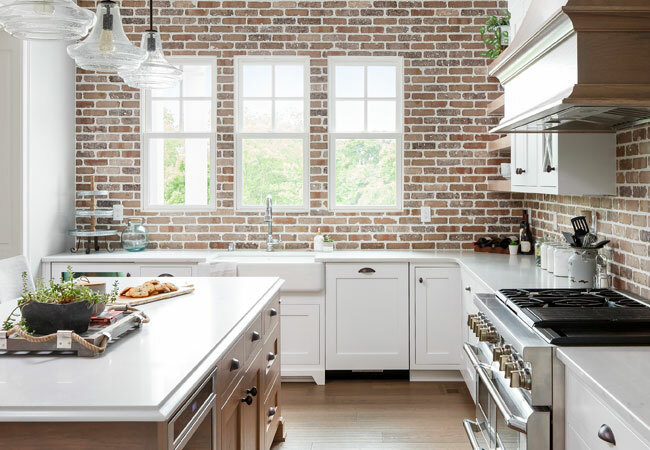 The kitchen features exposed brick walls that add texture and a focal point. 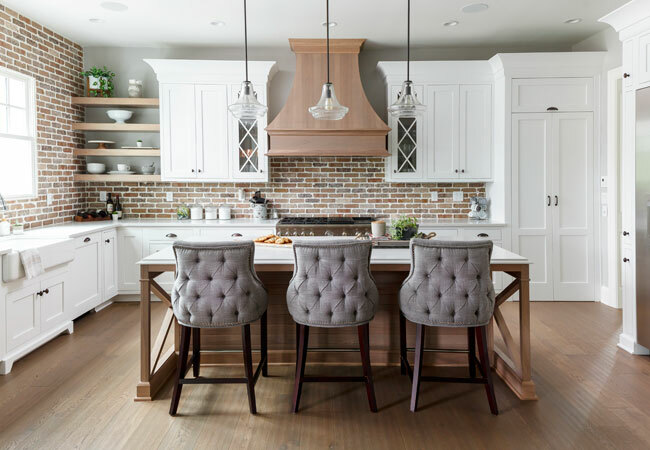 Pendant lights illuminate the expansive island with stylish bar chairs. Family dinners are hosted at the two-toned farmhouse dining table embraced by wingback host and hostess chairs along with X-back accent chairs. The wood beaded chandelier brightens the rustic wood beams and casts a warm, inviting glow. The Redman family spends plenty of time outdoors and being active and their home reflects that. A well-appointed exercise room above the garage features four seats from the Georgia dome, where Chris played football. 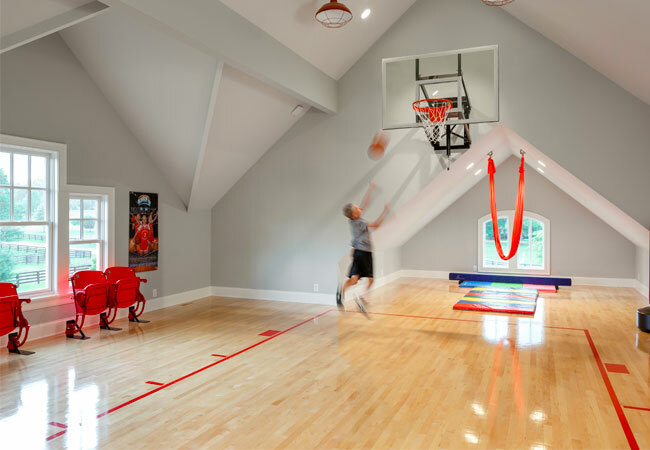 It includes a basketball court where the kids and Chris can break a sweat especially when the outdoors isn’t a viable option. 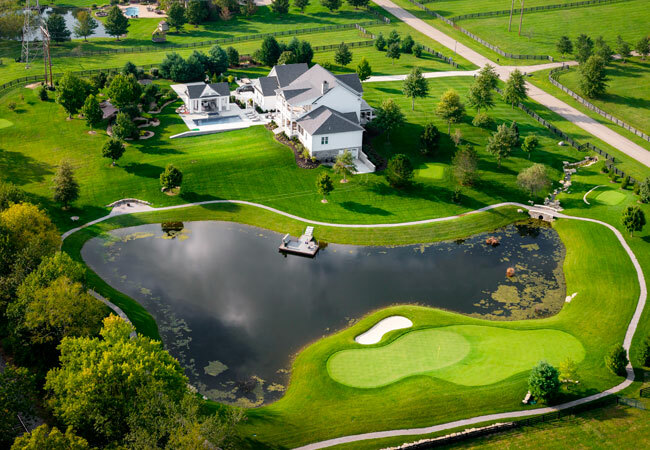 “The most challenging part of the build was designing the layout of the 5-acre lot to include our pond, basketball court, pool and pool house.” The landscape, which received as much attention to detail as the interior of the home, is quiet and serene. Sliding doors in the family room – another favorite family gathering space – expands their entertaining area. A covered porch outside features cozy seating and a fireplace with an stunning view of the Olympic size pool with waterfall. Along with an outdoor basketball court, there is a golf green designed to replicate the 12th green at Augusta National, complete with four tee boxes. So much detail was added to the home to make each space more personalized and comfortable. They added a second floor rec room that includes a sleeping porch with hanging daybeds. Built-in bunkbeds are ideal when hosting friends or family. The children’s rooms both have unique features that make them their own: Josie has a spiral staircase in her bedroom that leads to a reading loft, while Britt has a rock wall leading to a bunk bed over his desk— ideal when he is having a sleepover.